Indeed, there are useful cases that address these kinds of questions—and virtually every other legal topic. But how do you find them—for free? Until recently, researching legal decisions was something only done by lawyers, paralegals and law librarians using expensive databases like Westlaw, Lexis or arcane legal research books. The internet, of course, has changed everything. While Westlaw and Lexis remain a key part of a lawyer’s toolkit and provide deep resources for a price, alternative online tools are now available for everyone to use. In my work, I have found three excellent— and free—legal research sites that appraisers, particularly those practicing in the right of way field, may find useful. Google Scholar is more than a legal database. First released in 2004, it indexes more than 150 million academic books, articles, conference papers and other scholarly literature. Its legal database is equally encompassing and gives users access to virtually every published federal district court, tax and appellate decision since 1923 and state appellate cases since 1950. The key feature for non-lawyers (and for some lawyers too) is that searches are made using plain English. Another useful feature is that it can show whether a case you’re looking at has been cited by other cases. So if you’ve just found an interesting case about the use of survey information by expert witnesses, you can see if other judges have cited that case and discussed the concept as well. How might the right of way appraiser with the question about appraisal testimony based on survey information use Google Scholar? In this situation, let’s say he’s been hired by a rural property owner’s attorney in a case involving a gas pipeline easement. Part of his assignment is to determine severance damages to the remaining property after the take. He’s wondering if he can conduct a telephone survey of people in the area to determine their perceptions of the impact on value of a pipeline running under or near a property. Or perhaps he can rely on existing surveys conducted by academics. In Google Scholar, he can run a search for “telephone survey, appraiser, expert witness and condemnation” and the results will include about 20 potentially relevant cases. Reading several of the cases will likely impact the decision to develop valuation opinions based on survey data. The search results will include cases that have considered the use of telephone surveys as a basis for severance damages. In one such case, Hoekstra v. Guardian Pipeline, LLC, a Wisconsin appellate court considered a trial court’s decision to exclude appraisal expert testimony based on survey information. The trial court had ruled such testimony was not permissible because comparable sales data existed, but the appellate court reversed holding that the appraisers properly could rely on surveys in developing their opinions, provided that they establish a nexus between the survey results and the specific subject property. [A] real estate appraisal expert must proffer a reasonable justification for ignoring market data where it is available. Here, there was ample actual market data from which a valuation opinion (baseline or otherwise) could have been made, had [the landowner’s appraisal expert] chosen to use it. . . . to discard market data, [the landowner’s appraisal expert] had to provide a reasonable justification explaining the unsuitability or unreliability of the comparable sales data. So, the bottom line is that the door may be open to survey evidence but it’s a door that must be opened carefully. It’s likely a subject that merits a discussion with the attorney who hired the appraiser before proceeding too far so that the attorney can determine specific admissibility and probative value in the state in which the property is located. 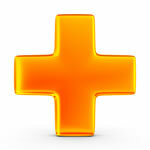 Founded by two Harvard Law School JDs, the high-tech company behind the Justia Dockets site is idealistic. They seek to “advance the availability of legal resources for the benefit of society.” It’s a profit-making company that earns revenue by providing online marketing for law firms. Justia Dockets enables users to search recent federal court filings by party name, case type, date range and jurisdiction—and it’s updated daily with new case filings. Since the site allows users to search by both partial party name and case type, it is a useful tool for finding cases involving specific subject matters. For example, by searching for “pipeline” as part of a party name and for a case type of “land condemnation,” I found 20 federal condemnation cases filed this year involving pipeline companies. The appraiser/firm owner with the question about whether an employee appraiser in her firm was exempt from overtime might do a search in Justia Dockets for a partial party name of “appraisal” and for a “labor” case type. That search would yield a case entitled Boyd, et al., v. Bank of America, et al., in which a Central District of California judge wrote an extensive opinion explaining that staff-level appraisers (residential appraisers in the case at hand) were not exempt from overtime. The case ultimately resolved in a $36 million overtime settlement in favor the staff appraisers employed by Bank of America’s subsidiary Landsafe Appraisal. For researching the law of a particular state or jurisdiction, the Georgetown Law online guide may be the best place to start. Finally, the scope of legal research regarding the case and statutory law of our federal and state legal systems is so vast that there are research guides about research resources. 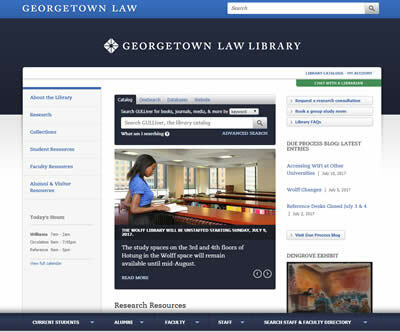 In my opinion, if you need to research the law of a particular state or jurisdiction and don’t quite know where to start, your best guide to finding out what’s out there is the online research guide created by the Georgetown Law. On this site, you’ll find a state-by-state presentation of the different legal research resources available to find applicable cases or statutes within a specific state. Right of way professionals work in a field filled with interesting situations and challenging legal problems. Today, it is easier than ever to access free legal research resources that may help lead you to some viable solutions, or at least, to some rather interesting reading. References Hoekstra v. Guardian Pipeline, LLC, 2006 WI App 245, 298 Wis. 2d 155, 726 N.W.2d 648. Exxon Mobil Corp. v. Albright, 71 A.3d 30 (Md. Ct. of Appeals 2013).